Taking care of your skin starts from the inside! Organic India offers organic products that are good for your health and your beauty routine. 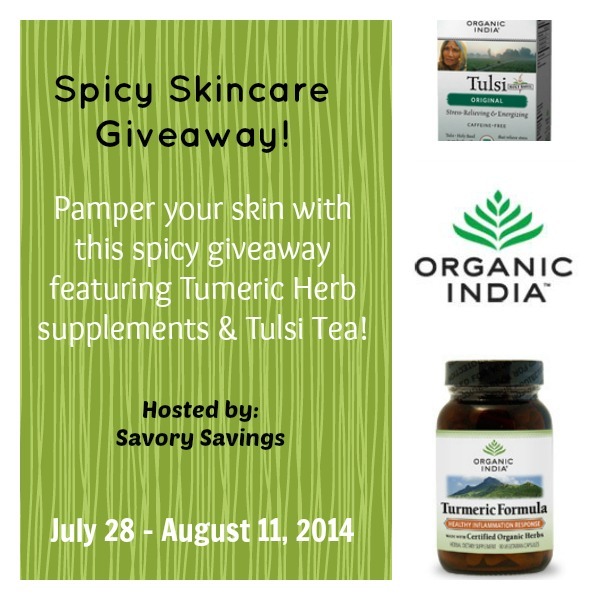 Krista over at Savory Savings recently had the chance to try the Organic India Tumeric Formula supplement and the organic Tulsi tea. Both of these products helped improve her skin, as well as energy level! More and more they find new uses for oils, herbs and spices. It is good for us to tap into things that are natural to us and are easily replished. I’d like to try their ORGANIC INDIA Tulsi Honey Chamomile Tea. It’s organic!